Erectile dysfunction (ED) is a common and embarrassing issue that affects many men at some point in their lives. It means that you cannot get an erection, that you cannot hold an erection, or that your erection is not firm enough. For some men, the issue may be short-lived, and it may even resolve itself without treatment. For others, it can cause years of agony. Enjoying sexual pleasure by maintaining an erection throughout the sexual act is a necessary part for a happy, healthy life. It is reasonable to expect to enjoy an erection well into your senior years. You may be wondering what steps you can take to address an erectile dysfunction issue that is currently concerning you. While it can be embarrassing to talk to your doctor about your condition, keep in mind that treatment in many cases of erectile dysfunction is successful. In fact, there are numerous treatment options that a doctor may use to successfully address the issue. There are a wide range of health conditions that can cause erectile dysfunction or that can cause the symptoms of impotence to worsen. For example, if you suffer from anxiety, being anxious about your erection can cause the problem to worsen. Treating the anxiety may therefore eliminate the impotence issue. Heart disease, prostate issues, diabetes, sleep disorders, obesity and many other conditions can also lead to erectile dysfunction. As part of your treatment for erectile dysfunction, your doctor may try to determine what the underlying condition or cause is. Treating the underlying condition in numerous ways can often help you to overcome impotence. Some medications can also cause impotence or erectile issues. For example, some antidepressant medications can make it difficult for men to achieve or to maintain an erection. 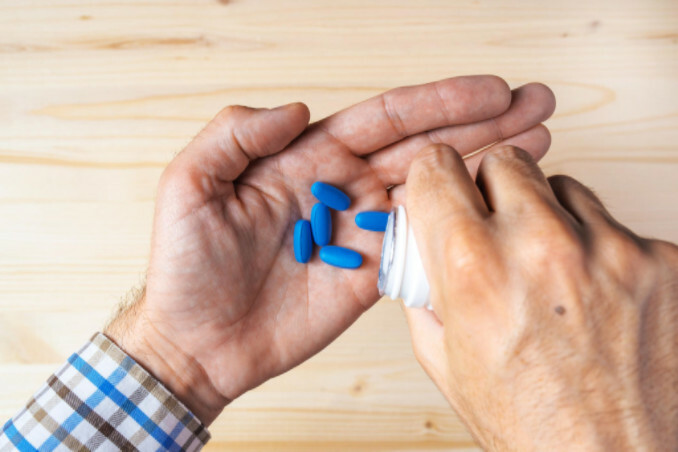 If you are currently taking prescription medications that list erectile dysfunction as a side effect, talk to your doctor about the issue. He or she may be able to adjust your medications so that the issue corrects and so that you continue to receive the treatment you need through medication. In some cases, prescription drugs for a wide range of health issues are the cause of impotence. In other cases, however, erectile dysfunction needs prescription medication for treatment. Some men respond well to hormone therapy for low testosterone levels. Others may need to take a libido stimulant a few minutes before engaging in sexual activities. This type of treatment is most often used for treating age-related erectile dysfunction. If taking medication regularly to address your libido concerns is not ideal for you, another option is to take natural herbs and supplements. Many natural herbs and treatments can increase your libido and help you to maintain a stronger erection for a longer period. For example, panax ginseng, rhodiola rosea, Yohimbe and others are useful, in healthy moderation, as needed to improve impotence symptoms. These have, in studies, produced impressive results. You can also take additional doses of naturally-produced elements in your body, such as the amino acid l-arginine. Your doctor may advise you about safe dosages to take as well as the right herbs and supplements to take to address your specific issue. The thought of using acupuncture to treat an erectile issue may sound unappealing, but it is a safe and sometimes effective procedure that can may be ideal for you. Through acupuncture, you may be able to stimulate blood flow, address nerve issues and tackle other issues that may be causing the erectile dysfunction issue. Some studies regarding acupuncture as a treatment for erectile dysfunction have shown a success rate as high as 39 percent. Keep in mind that these are only some of the treatment options available to you. If obesity causes your erectile dysfunction issue, for example, losing weight through lifestyle changes may be most ideal for you. It is always a smart idea to talk to your doctor first to determine what is causing your impotence concerns. By identifying the primary cause, you can then obtain personalized guidance on the treatment option that may produce the best results for you.